Lovely looking Early 20th Century White Ironstone Butter Dish. 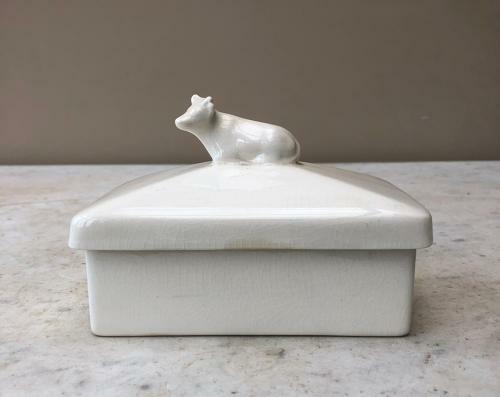 Has its original lid with a seated dairy cow as the handle. When you lift the lid off there is staining (from the butter) just around the very top...when the lid is on you cannot see this. There is no butter smell as some old dishes have, very clean and fresh to use.